Key features about online SMS providers has been reviewed and documented into a SMS Comparison table and site for ease of reference. It was found that WholesaleSMS offers a leading cheap online SMS service while SMS Broadcast has a very reliable range of features. Should I be using cheap online SMS service? Online SMS is an easy way to send an SMS from a computer without the need for any special software. It’s just a matter of logging into a website and provides bulk lists via CSV. By simply opening and sending your required text message by a standard email process, the rest is done by the SMS Provider. This makes online the text messaging service perfect for organisations wanting to do marketing pitches or for appointment and payment reminders or for notifications. 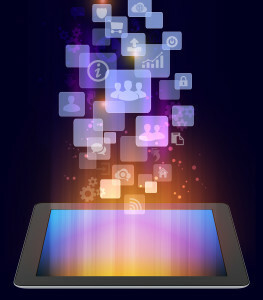 Online providers will manage sms distribution as well as handle user-replies. By documenting the responses to an original message means knowing immediately what is going on, which is valuable for companies wanting immediate answers to matters like staff rostering or appointment reminders. 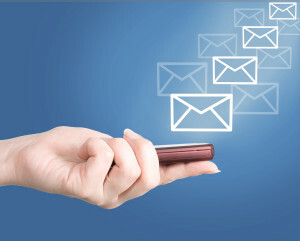 For a fast, efficient solution to an online Email to SMS delivery system. In Australia, there are two forms of SMS networks that you can engage. One is termed Premium which means that you can use a top, efficient network system, which large companies like telecommunication companies and banks use this network. In the case of financial institutions, they use SMS services with regard to internet banking, which requires secure, instantaneous and reliable messaging. A premium charge is paid per SMS text sent through such network systems but you have the guarantee and reliability that your customers will receive the text almost instantly with near 100% reliability. Premium SMS providers usually will not deal with businesses who distribute SMS in small volumes per month. However, many businesses do not require such type of premium SMS service. They require just a range for online SMS service for their marketing such as reminders that are able to distribute in bulk. In such instances, the SMS is received by the user with a possible minimal delay of only a few seconds or minutes and this is viewed as quite acceptable. Then such interested businesses should consider a cheaper form of distribution based simply on price. A number of cheap online SMS providers use overseas network systems or use a lower tier in the Australian network system. It can be shown that sending an SMS using an overseas network system from Australia is surprisingly reliable. The main downside is the slower distribution time which can be less than 15 minutes but other time longer (dependent on travel distance). The reporting system is still good and is generally reliable even though their response rates may be lower. WholesaleSMS and SMS Broadcast have become relatively significant players in the online SMS Australian market over the past few years. ClickSend is a cloud based SMS organisation focusing on sending and receiving SMS platform, email & voice services. They are a Perth based company and have operated in Australia in 2006. There are many good features that cheap online SMS providers have to offer. Firstly, SMS distribution is a two way communication process. 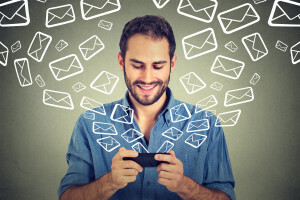 The business needs to recognise that the online SMS system will send a text from a computer to a specific target audience nominated and can receive replies back for viewing on the web. This latter part can be forwarded to the business’s specific email address if required. Thereby, the business can receive the responses to the message that was originally distributed. This means that the provider can totally track text messaging from start on the mobile phone. Recording is an excellent way of measuring the success of the campaign distribution through their analysis via delivery tracking system. These online SMS distribution companies outlined do provide high speed connections to network suppliers for low, medium or high volume clients that need text messaging to be disseminated promptly. Another great feature is that many of these online SMS companies investigated ensure they are anti-SPAM compliant. They have a means of ‘cleaning’ their SMS contact list when imported and reformatted. As can be seen below in the graphical format, SMS Broadcast has the best rating of all the online SMS competitors. This is followed by ClickSend with similar high quality features. The other competitors rate lower but should not be excluded from your decision as they too offer a good range of valued features. WholesaleSMS has become a relatively significant player in the online SMS Australian market even though it started in 2014. It is the only cheap online provider to provide a price matching conditions. Some drawbacks of WholesaleSMS are their lack of offer of monthly plans and their credits only last for 12 months. For small volumes of sms distributed on a monthly basis you may want to consider SMS Broadcast. Their rate for this range is cheaper than Wholesale SMS and there is no credit expiry. If you require a virtual number then you will incur a monthly charge. Comparing charges of each cheap online SMS provider, the review found that there is a significant difference in charges dependent on the volume of text messaging distributed every month. For low, medium and significant volume of SMS texts sent out, WholesaleSMS offered the cheapest rates. This is followed by SMS Broadcast, Clickatell, Click Send, SMS Tech and TextIt being the most expensive. The charges were significantly different with a variation of up to 45% in some categories between the cheapest online provider and the most expensive one. 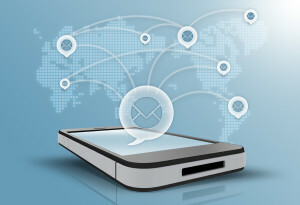 For lower volumes of text messages distributed, WholesaleSMS offers the cheapest rates. This is followed by ClickSend and SMSBroadcast with an approximate 10% increase in charges. The other providers namely DirectSMS and SMSTech offer at more expensive rates. Take the mid volumes of text messages on a monthly basis, WholesaleSMS offers the cheapest rate. ClickSend and SMS Broadcast are cheaper but still 10% above the cheapest provider. The other charge much more. On the basis of the largest volume distribution, still WholesaleSMS offers the cheapest rate. ClickSend and SMS Broadcast charges are 18% more expensive than WholesaleSMS while DirectSMS and SMSTech are around 30% to 40% dearer. Therefore, Wholesale SMS ranks No. 1 followed by SMS Broadcast and Clickatell. If you are a client or prospective client please check to ensure the charges have not changed. With any business, one needs to be reassured that these cheap, online SMS companies are both reliable and reputable when they send online text messages to customers, or clients, or staff or any groups. You need to be assured that your instructions and content can be schedule for transmission at any set times, such as reminders for appointments or important dates. Many of the online SMS providers investigated do have an up-time guarantee of 99% up-time or better as part of their reliability assurance. All the five major providers also have good customer service whether it is phone support during business hours, email support, or the option of a free trial to see how the system works. The reliability chart below shows that three of the major online SMS services are regarded as providing a reliable level when it comes to distributing text messages. SMS Broadcast and ClickSend are considered the most reliable closely followed by Clickatell and Text It. The cheap online SMS Australia comparison table has been prepared after extensive reviews and analyses of the features offered by each SMS Provider. The authors have worked with leading SMS Australia providers in the past, and understand these businesses extensively. Therefore they have the capability, understanding and knowledge to formulate a number of features which they consider any business should use to compare providers. The authors wish to ensure you that they have been fair, unbiased and provided an independent overview of the text messaging services in Australia. The comparison table was designed and now continually reviewed. However the providers can alter their charges and products without notice. It is advisable to always check prices and features prior to engaging an online SMS provider. If any information is inaccurate or requires updating, please let the authors of this site and table know. Any changes required will be immediately made. The Comparison Table is free to readers. A commission may be requested from the selected SMS provider if you click onto their website and then engage their services. Intentionally, no advertising on placed this site.